Officials say heavy rain that swelled the water level in Lake Harrison was still delaying the search Friday for signs of a missing Harrison couple, and there have been some results from tissue samples found in the creek during the search. John and Amy Villines were swept away in their vehicle in an apparent flash flood Nov. 30th on Highland Street in Harrison. It was believed the couple's bodies would have washed down the tunnel system draining into Lake Harrison. But after searching the tunnel, the lake and Crooked Creek downstream, very little evidence had been recovered. The Harrison Daily Times reports Boone County Sheriff Mike Moore said earlier some tissue samples had been located in the area of the weir on the lake. Those samples were recovered and sent to the Arkansas State Crime Lab for testing to determine if they were human remains. But Moore said Thursday the samples had been in the water long enough for degradation to set in, and the crime lab was unable to determine if they were human remains. Moore said investigators were in the process Thursday of finding another, more sophisticated means of testing the tissue samples for any results. Crouse Construction was contracted to drain the lake and begin digging through sediment in the continued search. 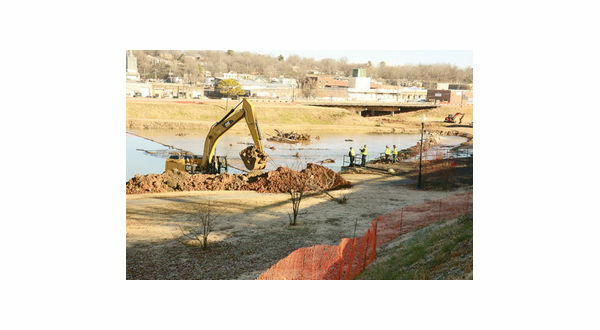 The company dug a trench around the south side of the weir to help move more water out of the lake than could go through the two flood gates in the weir. They had started digging on Wednesday, but almost two inches of rain that night and Thursday morning flooded the lake again. Harrison Public Works director Wade Phillips said there was too much water in the lake for Crouse to continue work Friday.